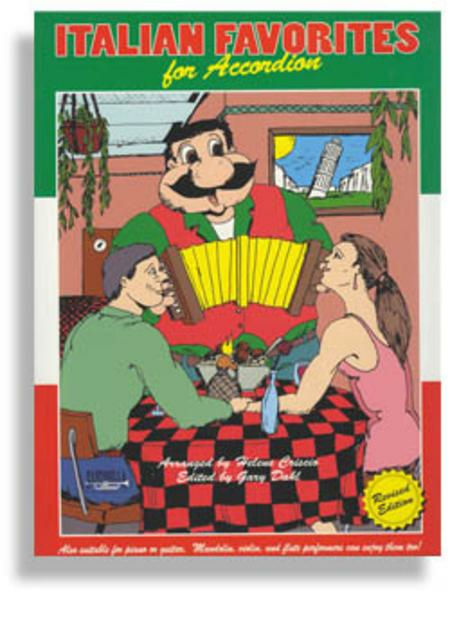 With a name like Santorella, what better addition to our catalog than Italian Favorites for Accordion. This collection features all the most requested Italian Marches, Tarantellas and Love Songs that were arranged by the late "Westfield Legend", Helene Criscio and performed by Henry Doktorski which was dedicated in her honor. All lyrics, when appropriate, are written in both English and Italian and placed directly under the melody. Helene Criscio was loved and endeared by many people as she always managed to find the good in everyone. It was her caring nature and positive attitude that made her an exemplary teacher. At age 96, while battling a painful arthritic condition, Helene past away but the lives she touched and her love for the accordion will live on forever.